Meeting duty of care requirements is a complex process to navigate for any organization with employees who are traveling overseas on company business. Understanding what measures one can take to manage risk to an acceptable standard remains a considerable challenge. Now, more than ever in our volatile world, the question arises: how best to meet this legal obligation? It is vital to obtain a comprehensive threat overview of all international locations where travel will be conducted. Accurate risk assessments and country security risk reports will provide a more informed and balanced decision-making capability regarding operational security concerns. Security risk reports provide the organization with a comprehensive understanding of what we refer to as “Ground Truth” – knowing the risks of the area of operations – country, region, and locale. Documents should be user-friendly, relevant and up-to-date. Situations change rapidly and timely intelligence will provide detail on current and future anticipated threats. Provide personnel with the tools and knowledge to minimize and mitigate personal travel risk. Travel safety and situational awareness is a vital cog in the TRM machine. Risks can be significantly reduced with the sensible application of basic personal security methodology. It is often the most cost-effective and efficient method of significantly improving the safety of individuals or groups abroad. Any training should provide an auditable trail that personnel completed the necessary steps prior to departure to minimize the risk of litigation. Prior to any travel, the individual traveling should be fully aware and conversant with the environment they will be visiting, as well as the threats and risk of those threats. To avoid the risk of litigation, it is vital that any individual’s travel goes ahead willingly and with “eyes wide open.” To ensure this, any organization should supply, or provide access to a country briefing to an individual or group prior to departure. The biggest risk to any traveler in a foreign country is a vehicular accident. Further, most robberies, abductions, and violent opportunistic crime occur in or near a vehicle. It is therefore essential that journey management plans are prepared and rigorously enforced. Trusted and vetted suppliers of drivers and vehicles must be a priority. A reliance on taxis and ride-share services has led to multiple issues for organizations throughout the world. 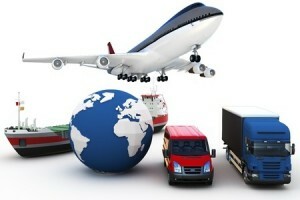 Private transportation significantly alleviates risk to individuals abroad. The risks of express kidnapping, robbery, and sexual assault are significantly reduced if travelers do not have to hail taxis from the street or utilize public transport. In some countries, the use of Executive Protection may be required to manage individual and group security. Executive protection is no longer a service for the rich and famous. The modern professional “bodyguard” acts in an enabling role, facilitating the movement of executives through the plethora of risks that exist. The final part of the GEBIR principal is contingency planning. If an emergency incident occurs police and national emergency medical services are often inadequate, overwhelmed, or non-existent. There must be a pre-identified and rehearsed service in place to ensure the effective and timely response to an emergency. 1. Communication – The benchmark is to be able to identify the exact location of your employees and be able to effectively communicate with them within 15-20 minutes of an incident occurring. 2. Crisis Management – Being able to react immediately and effectively. This requires the design and implementation of plans and processes, to be complemented by the introduction and training of a crisis management team. 3. Emergency Evacuation or Hibernation Plans – These should be a structured and practical guide for the organization to identify and respond to executing a full or partial evacuation of personnel from operational locations, or hibernate in-situ until the situation changes. The moral arguments for a solid TRM plan are obvious, but there is now a growing recognition both in the courts and with potential plaintiffs that breaches of duty of care occurring abroad can be heard in U.S. courts. The number of cases being presented has increased, and employment lawyers are particularly alert to the issue.